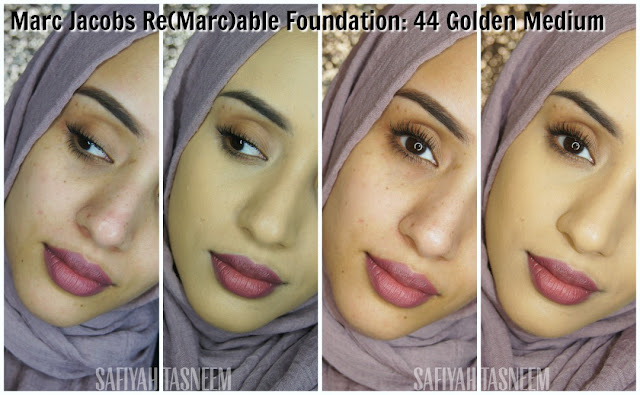 After my last blog post featuring my Eid (Ul Fitr) 2017 makeup look where I used the Marc Jacobs Re(Marc)able foundation the whole day, I thought I'd give my review next as it was also the second most popular voted foundation to review after NYX Total Control! My skin I swatched these in the same session as my last NYX foundations files blog post, where my skin seemed less shinier than previous Estee Lauder posts. You can see my freckles and eye scar and pigmentation around my mouth in the befores which can hopefully give you an idea about the coverage of this foundation. 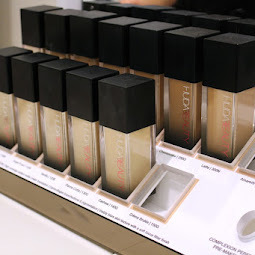 The foundations are in luxe frosted glass bottles which can be slightly tricky to tell the true colour as always, but you can still see a hint of the pink or yellow undertones through. There's a double lid/opening; after taking off the black lid there's a silver rounded lid underneath that you unscrew and that is attached to the dispenser inside the bottle. The dot applicator/dispenser isn't the most hygienic unless you apply it to the back of a clean hand or palette tool, but applies more than enough with 2-4 dots maximum. There are 22 shades available which the first 8 are mainly for fairer skintones, the next 8 are for medium skintones and the last 6 are for medium to dark skintones, which admittedly is a bit of a let down for those with darker skintones as only 3 actually look like they could be suitable for dark skin. 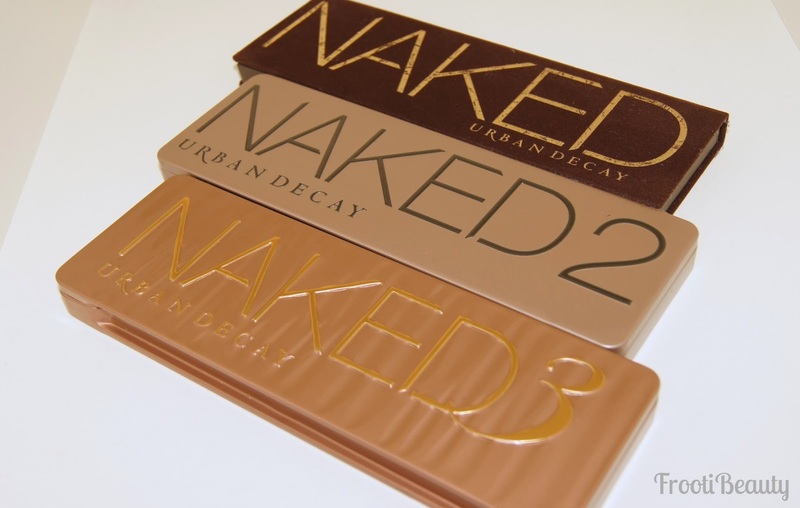 For those with medium shades like me however, the selection is quite impressive unlike usual brands, as there are medium shades with a variety of undertones (much like MUFE HD foundations). 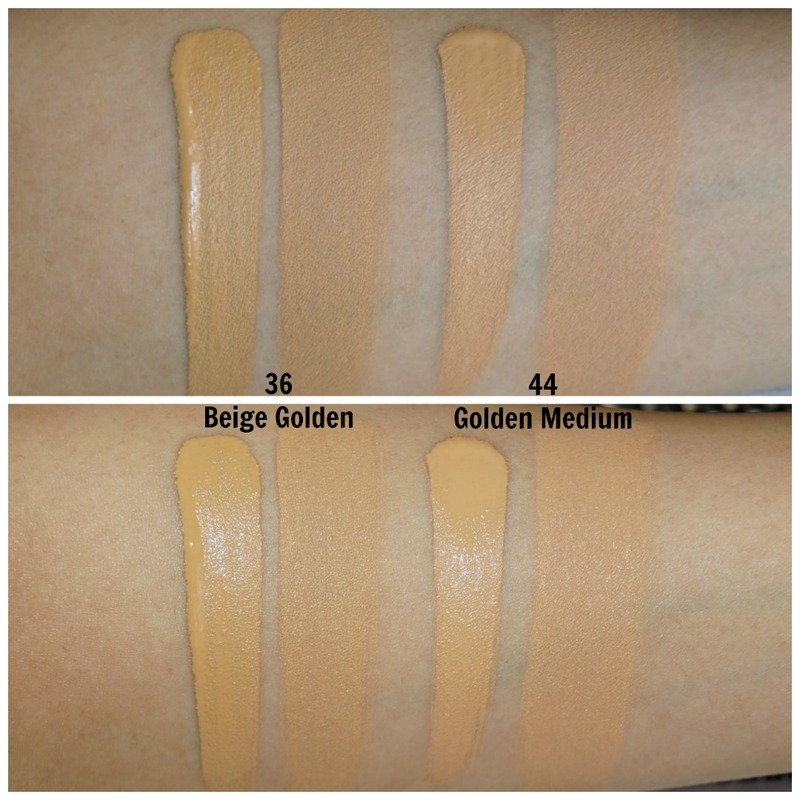 I was unsure which shades I would be by looking at swatches online so opted for the Beige Golden (36) and Golden Medium (44) as usually foundation names with the word "golden" suit me best. On first impressions, I thought 36 Beige Golden looked the most yellow/olive and closest to my skintone as it was almost a perfect match on my hand when first swatched. It certainly is very olive based; to a point I almost look green for some reason in the face swatches above! Weirdly, the arm swatches of both 36 and 44 look barely any different but on the face it definitely is a noticeable difference; 44 Golden Medium is slightly pinker toned, which I thought wouldn't suit me as much as 36, but I feel like this is actually a much better match. I'd say these shades match NC35 complexion best depending on your undertones; if you have some redness like me, 44 Golden Medium may be a better match, but if you are very olive toned, then 36 Beige Golden would be good for you. 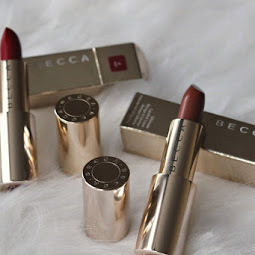 These contain no SPF which is good for flash photography; as you can see above, with flash the colour looks like a great match on Golden Medium. The coverage for this foundation is INSANE. I used 2-3 drops for these swatches and as you can see, my freckles, pigmentation and even dark circles are covered amazingly!! I personally prefer less coverage so I only used 2 drops for my last makeup look (here) and I used a drop of each foundation mixed to give an all over olive but neutral toned look. Even that was pretty full coverage for me though! This foundation is on the same level of coverage as the Kevyn Aucoin Sensual Skin Enhancer (SSE), but a thinner/more spreadable formula which I've always found tedious with SSE if using as a foundation. 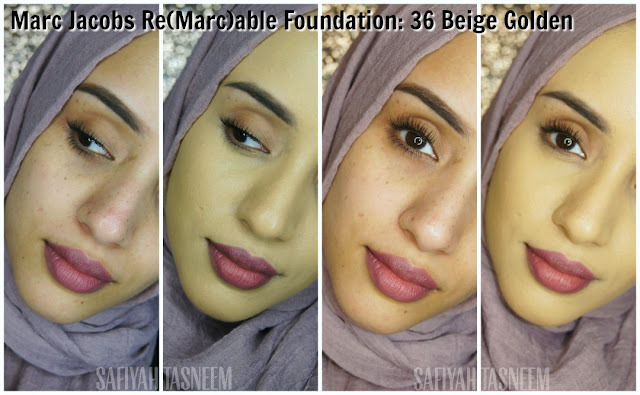 Just like the SSE, too much of the Re(Marc)able foundation can look mask-like, and you could probably use this as concealer too as a lot of people do with the SSE. Basically, a little goes a long way! After drying down from initial application, it dries to a soft matte finish; I really expected it to be fully matte but it's like semi matte without the usual dull/flat finish! On my nose area the product covers pores pretty well with or without primer, however I prefer to use primer on my T-zone in general (usually Bioderma Sebium Pore Refiner) as I feel it helps foundation last and I don't like the idea of filling pores with pure foundation. I actually really liked the feel of this foundation on the skin; it didn't feel heavy at all despite wearing it for hours on Eid, but I did use a only a small amount as too much of it can feel mask like and like it would crack. If you have dry skin, I'd say mixing this foundation with a moisturiser may help as it can cling to dry patches ever so slightly once dried. I'd say this foundation is best for normal to oily skin although all skin types could probably wear this i.e. dry skin types can mix with moisturiser or wear a very hydrating primer on under this. 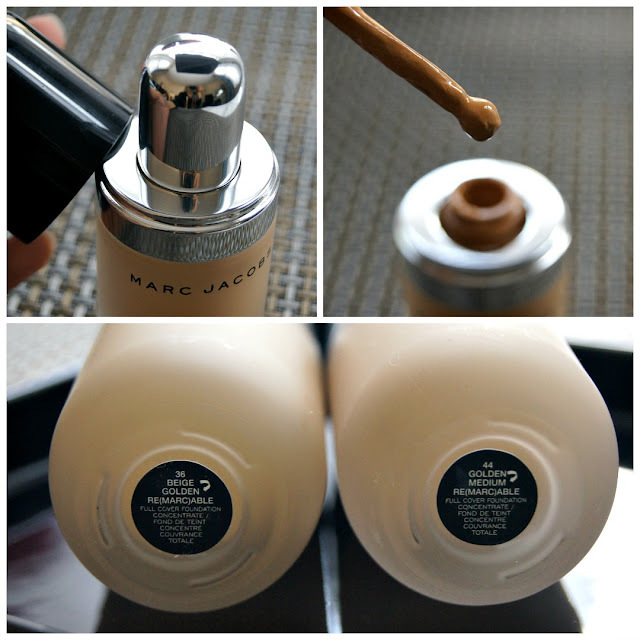 I also find using a slightly damper beauty blender with MAC fix+ helps the foundation look less matte. Medium thick texture; thick enough not to drip from the applicator, but thin enough to buff effortlessly, either with a foundation brush or beauty blender. Doesn't set straight away, but sets faster than most foundations, so it's better to work in one area at a time. Hides my freckles and beauty spots very well, even without total coverage. I've tested this a few times and find that the foundation works ok with my oily nose, however after about 2 hours the oiliness comes through (but no separation until 4 hours) so I strongly recommend using a primer and/or powder to set oilier areas. 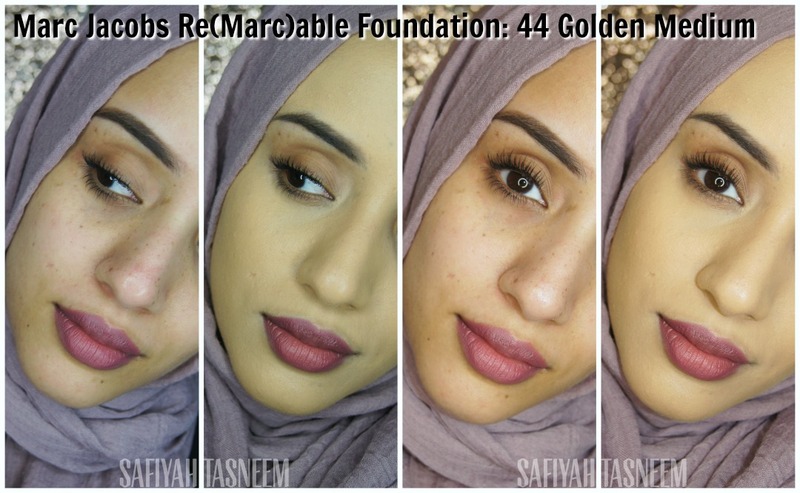 The product is marketed as a 24 hour foundation and I have to say on Eid when I wore it, it held up pretty well. After 12 hours my makeup looked pretty fresh and not too oily without a powder top up, but then I did bake with the Laura Mercier Translucent Setting Powder, so I imagine that helped prevent separation around the nose. With powder/primer and using the foundation concentrate very sparingly, this can probably last all day/night without separating and without a drying feel. The Re(Marc)able foundation concentrate is £37 for 22ml, which is slightly less than the standard 30ml foundations we usually get, however as it is a foundation concentrate, this is actually quite a lot. I think the price tag is worth it if you're looking for a foundation with a good fair to medium shade range but also for a super full coverage foundation that doesn't give a dull/flat finish. 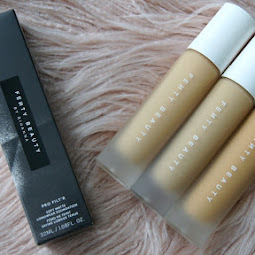 I actually thought I would find this foundation too heavy, however it felt less drying than Estee Lauder Double Wear and certainly more spreadable than Kevyn Aucoin SSE. Without baking however, it does separate around the nose/oily area, so I would strongly recommend using primers around oily areas and baking to keep the product in place with minimal separation. 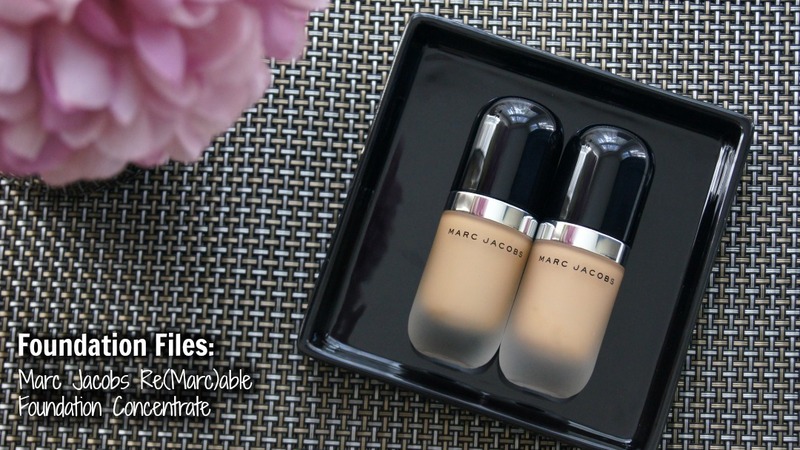 What do you think of these Re(Marc)able foundations? 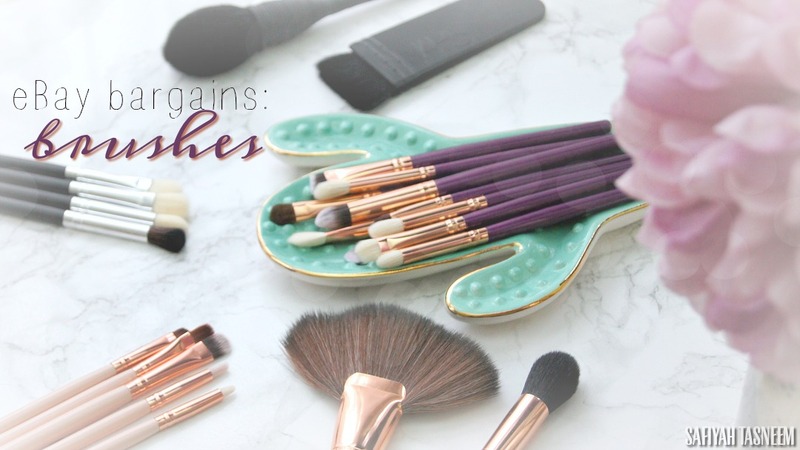 Do comment and let me know if you've tried other shades!